During the weekend we like trying different breakfast places before dedicate some hours to some of our hobbies or just relaxing at the beach or pool. Now the weather in Dubai is particularly nice and therefore eating out is more and more enjoyable. We like ‘The Beach Mall’ in Jumeirah Beach Residence that actually isn’t a mall but a well-organized promenade with a lot of restaurants, some shops and a cinema. Among the various breakfast options available we decide to give a try to eggspectations. The place was literally packed and we had to wait a considerable 30 minutes before a very busy person showed us a finally free table. Eggspectation at sunset. It is close to the beach and to the cinema. The crew was really prepared and managed our order and repeated changes of table (from outside to inside and then from our table to a friend’s one) without committing a mistake or loosing any part of the order. We were starving but willing to eat something not too heavy. I opted for a vegetarian crepe filled with extra eggs and cheese and a fruit platter. Both were superb, especially the crepe that I found exceeding my eggspectations 🙂 The crepe was so good that I couldn’t resist and finished it before realizing I haven’t taken another photo of the same. 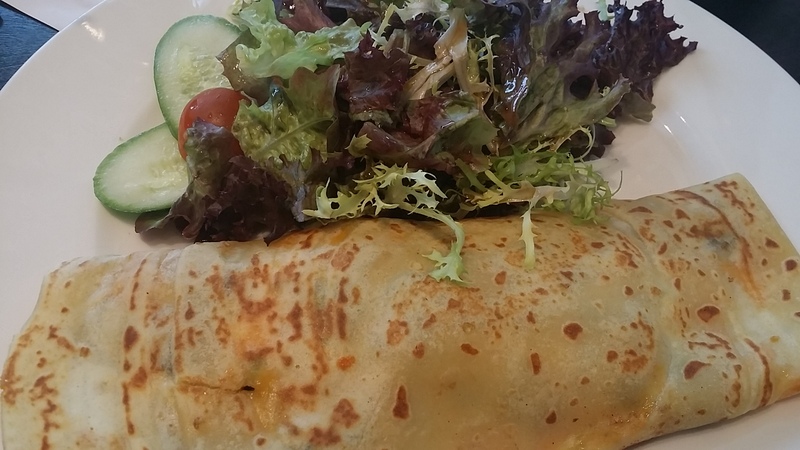 The crepe was excellent and came with some salad on the side. The fruit platter was good and proposed strawberries, pineapple, apples, kiwi and grapes already washed and cut. At the end of the meal, I ordered a single espresso and was surprisingly good. I felt almost home with the classic Italian espresso fragrance. I have particularly liked the coffee set at Eggspectation. 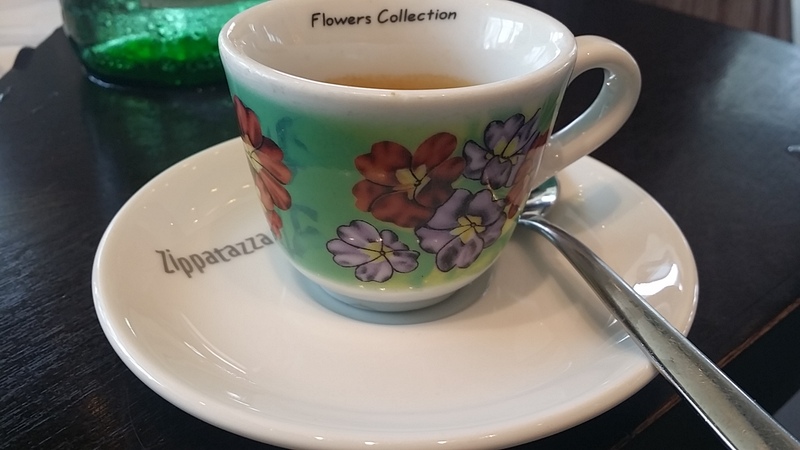 This entry was posted in Breakfast, Dubai, Jumeirah Beach Residence, Restaurant in Dubai and tagged Breakfast, Crepe, dubai, Eggs, Eggspectation, Espresso, JBR, The Beach, Zippatazza on November 3, 2015 by andreadetto.